Women in Technology (WIT) is a non-profit organization dedicated to offering women at all levels serving the technology industry a wide range of professional development and networking. Our community offers a broad range of support, special programs and resources to advance women in technology from the classroom to the boardroom. When one women meets or helps another, amazing things happen. Professional careers leap forward. New business opportunities arise. That's what WIT is all about. Every WIT program offers networking opportunities and provides you the chance to meet new people, exchange ideas, develop new professional relationships, and often, make lifelong friendships. 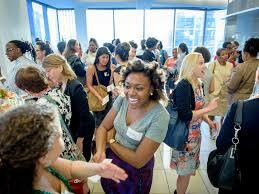 Click HERE to learn about WIT Networking opportunities. Members can join one of our three Special Interest Groups that are designed to bring together members with similar backgrounds and interests to share challenges and successes through regular meetings and programs. These include Cybersecurity & Technology, Women Business Owners, and Young Professionals. WIT takes its mission of advancing women from the classroom to the boardroom quite seriously and offers programs that inspire young girls as well as young women to pursue STEM-related careers, as well as its renowned The Leadership Foundry, which is an intensive program to prepare women to service on corporate boards. WIT also offers thirteen committees in which to enrich your membership by moving the organization forward which those that have common interests. Click HERE for a brief overview of these Special Programs and Committees. Several programs are offered to help members looking to further their career, those in transition or those contemplating a career change. These practical progams and resources have helped hundreds of women enhance their careers. Click HERE for a brief overview of Career Development programs. WIT.Wire - a twice monthly e-publication keeps members informed on the latest news and events. WIT Event Calendar - Helps members conveniently see and register for events to be held in current and future months. WIT LinkedIn Group and Twitter - These social media channels are a great way for Members to interact with other Members and be part of exciting discussions on important issues facing women in technology.